Building permits for all types of homes — condos, apartments and single-family homes — were down by 3 percent in the second quarter of 2017 compared to the second quarter in 2016, said a Real Estate Research Council report released Tuesday. It is an improvement from the first three months that showed a 37 percent drop in residential permits, but not enough to make up for a slow start. In the first six months of 2017, the county has issued 17.5 percent fewer permits than the same time last year. A lack of new homes pushes up prices because of fierce competition for a limited number of houses and condos. While higher home values are good for owners in most cases, it can make homeownership out of reach for many potential buyers. The pattern will likely continue in the increasing requests for building permits especially for locals who do not mind going out of their way to commute each day to work and school from their new homes farther from the city noise. There are even new legislations on its way to hopefully address the housing problems that have been plaguing the entire state of California over the years as most people can’t afford to pay for housing. Gin also said building permits are a good leading indicator of the economy because so many jobs are affected, including real estate agents, construction workers and other people in the real estate industry. And new homeowners spend money on furniture and remodeling materials. In June, there were 538 permits for single-family homes and more than 1,500 permits for multi-family (apartments and condos), said the U.S. Census Building Permits Survey. 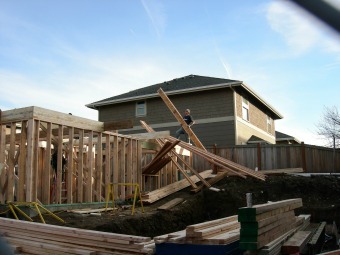 The number of building permits issued by a local government is a good indicator in the field of real estate. If only a handful applies for such a permit, it means there aren’t enough homes to provide shelter to people thereby triggering a domino effect that will increase the cost of rent or prices of most homes. While the figures were better than ever in the first half of the year, industry experts can only tell for sure whether things have changed for good in San Diego if the numbers have picked up by the year’s end.